Anna joined Whitelaw Twining in May of 2014 after completing articles at a large Vancouver law firm. She practices in the area of bodily injury litigation, with a special interest in and a focus on complex injury claims. With a thorough understanding of the unique challenges that often accompany bodily injury claims, Anna takes great pride in supporting clients through the many obstacles and struggles that they face on their road to recovery. She effectively navigates their claims through the legal system and ensures that they receive fair compensation for their injuries. 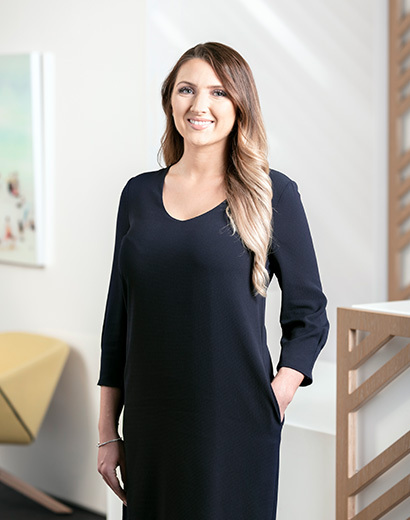 Anna has substantial experience in alternate dispute resolution and regularly assists clients in resolving their claims through informal negotiations, mediations or settlement conferences. Where settlement is not possible, Anna is a steadfast in representing and advocating for clients at trial. She has appeared as counsel before the Provincial and Supreme Courts of British Columbia, as well as at the British Columbia Court of Appeal. When she’s not working, Anna enjoys spending time with family and friends, seeing live music shows, travelling or simply losing herself in a good book. Anna is fluent in Russian and has strong ties to the Eastern-European community in the Lower Mainland. She draws from her multicultural background and diverse upbringing to provide clients with a unique and personalized approach to resolving legal disputes in an efficient and effective manner.